and is accompanied in the children's hospice Regenbogenland. 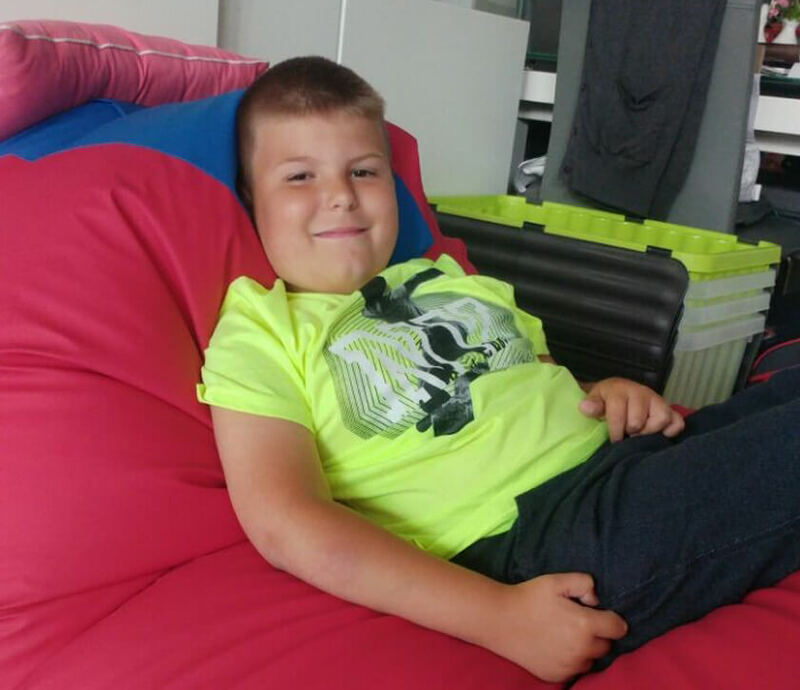 We got to know him and his surroundings when we gave him a beanbag as a positioning aid for his numerous therapies at home. During an on-site visit, we got to know Ralf's everyday life and his home better. 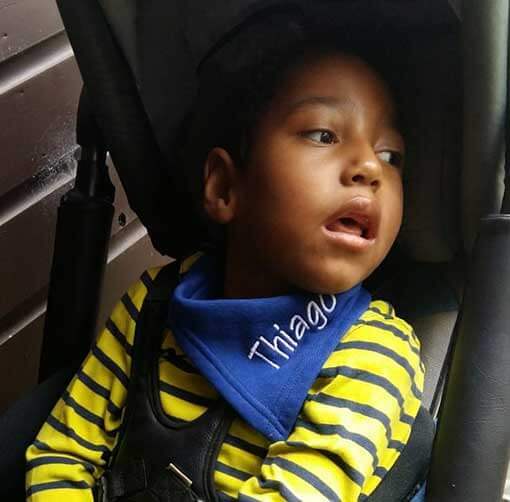 The foster parents have rebuilt the house and provide incredible help for him. You can feel the great love of the parents and it is nice to see how they catch Ralf again and again. Logistical problems now arose in the home: The new wheelchair did not fit through the door anymore, a ramp was missing. The family built the ramp and a matching door from their own resources. Now wheelchair-resistant panels are needed for the floor as the existing floor gradually breaks under the load. Also in the guest toilet, the door was adapted for Ralf. 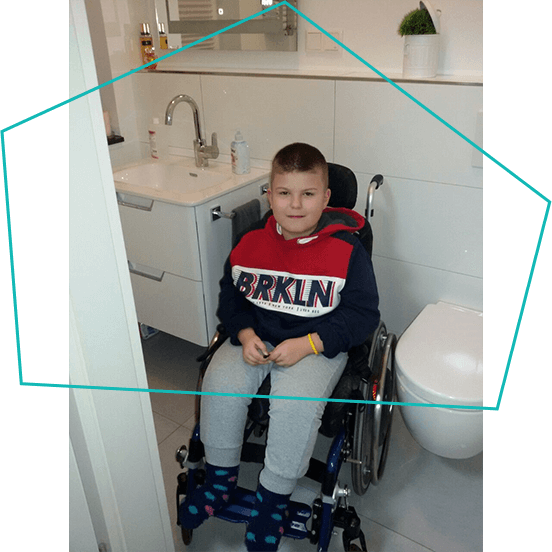 With the support of the Toni Kroos Foundation, the guest toilet has now been rebuilt in order for Ralf to reach the small bathroom with the larger wheelchair. In addition, the living room floor was newly tiled. 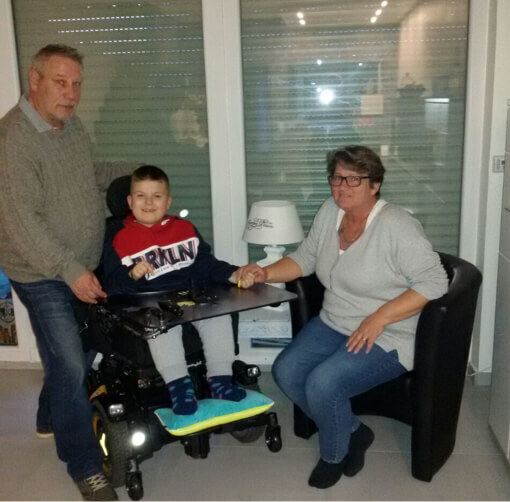 We thank Ralf's foster family for their tireless efforts and hope that our commitment will make everyday’s life easier for him and his family. Thanks to DigiComm and their managing director Carl von Campe for the generous support of the financing of the reconstruction.